Hi there! Today Melanie is stopping by to share her fabulous Aeroplane Bag she made! She is going to share a few hints when making the bag and then the next couple of weeks she is going to share how she added the extra pocket and also the piping! 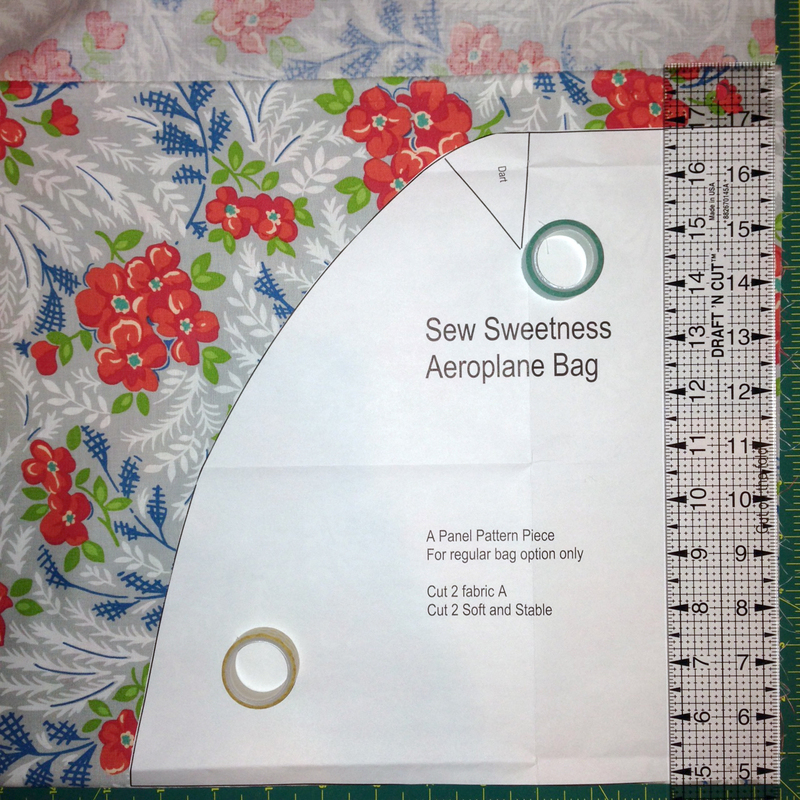 I am so excited to finish my first Aeroplane bag by Sara Lawson of Sew Sweetness. I love a large bag and one that zips is even better...in fact this bag has 3 zippers, but don't let that deter you! The Aeroplane bag pattern is very well written with lots of full color photographs in the 12 page booklet to explain the bag making steps. 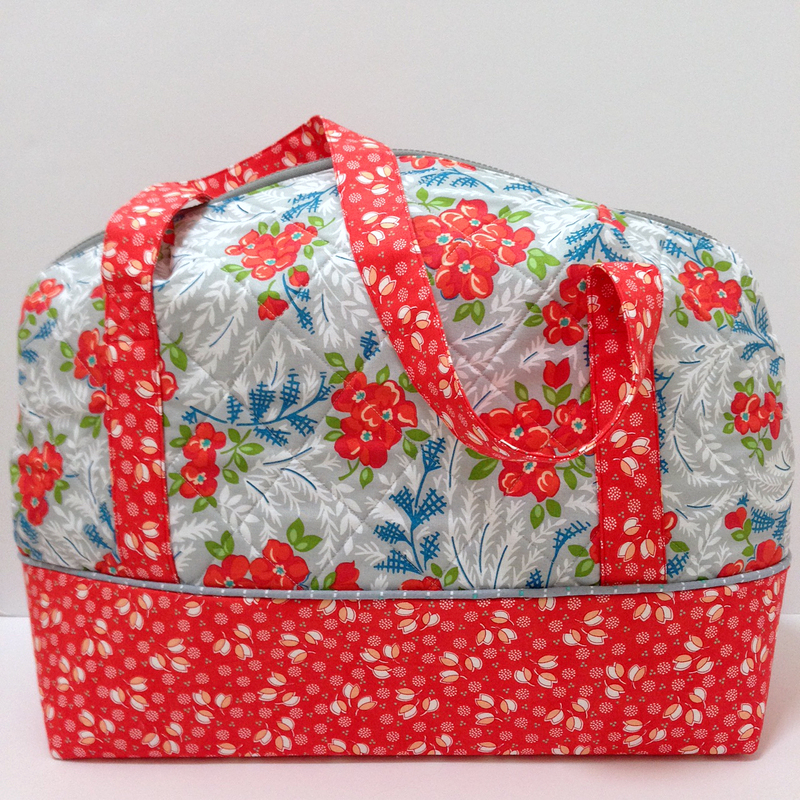 Here is one side of my bag in the wonderful Hazel fabric by Allison of Cluck Cluck Sew. Of course, I needed to "add a bit" to my bag to make it more me. 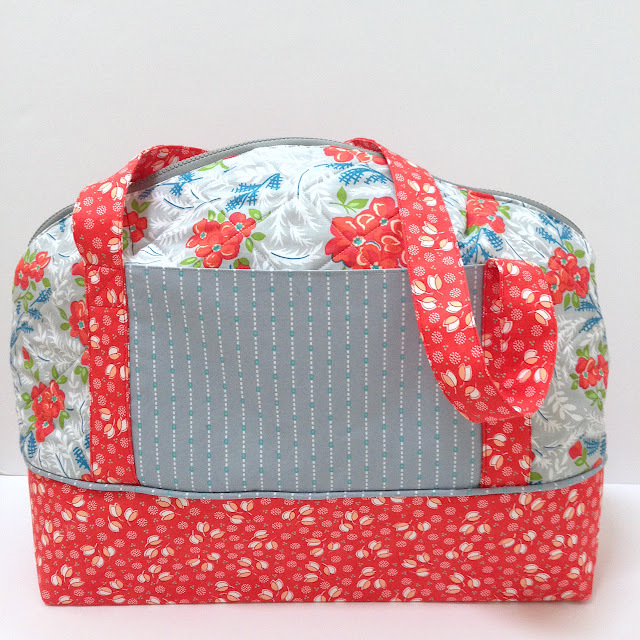 Check out my upcoming blog posts when I share about adding an exterior pocket and piping to your bag. My hints and thoughts on making this bag. 1. Read the pattern at least twice through before cutting/sewing...this is true for any pattern. 2. The fun part...choose your fabrics. I chose the lovely Hazel line. When choosing patterns for bags I usually try to choose all over patterns as they are more forgiving if your stitching gets a bit off. I did to go against my own rule this time and choose a stripe to make my exterior pocket and piping, but thought I could line it up well. 3. Now gather up all of your supplies...this saves frustration later. Nothing is more frustrating then realizing you are at a step and can't find a zipper ;). A bit about the interfacings in this project. Splurge on the Pellon Shape-Flex SF101 (this is the BEST and worth the extra cost- it adheres so smoothly and easily). 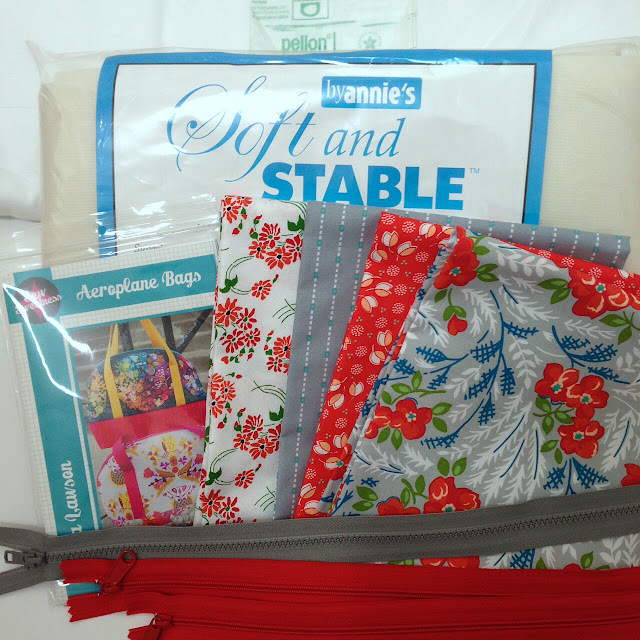 This was my first time using Annie's Soft and Stable and I loved it...though I also want to try the new Pellon fusible Flex-foam because I like how it is fusible. The pictures above show my bag standing on its own....not stuffed with anything. The Soft and Stable is very easy to sew through as well. I used a 90/14 needle, which I HIGHLY recommend. It is a lot of layers you are sewing through plus you will need to sew over zippers. 1. 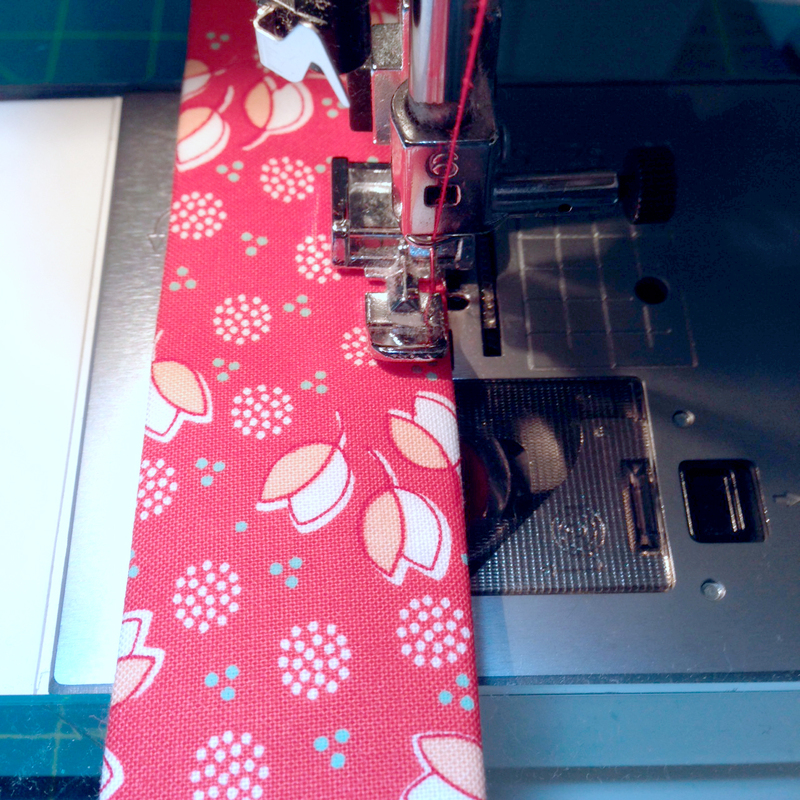 If you decide to quilt your bag....do this FIRST before cutting out your pattern pieces. I cut first because I didn't think my simple grid quilting would shrink the pattern that much...but it did. It cut about an inch off- this made it tricky when cutting my lining pieces and making the darts later in the pattern. 2. 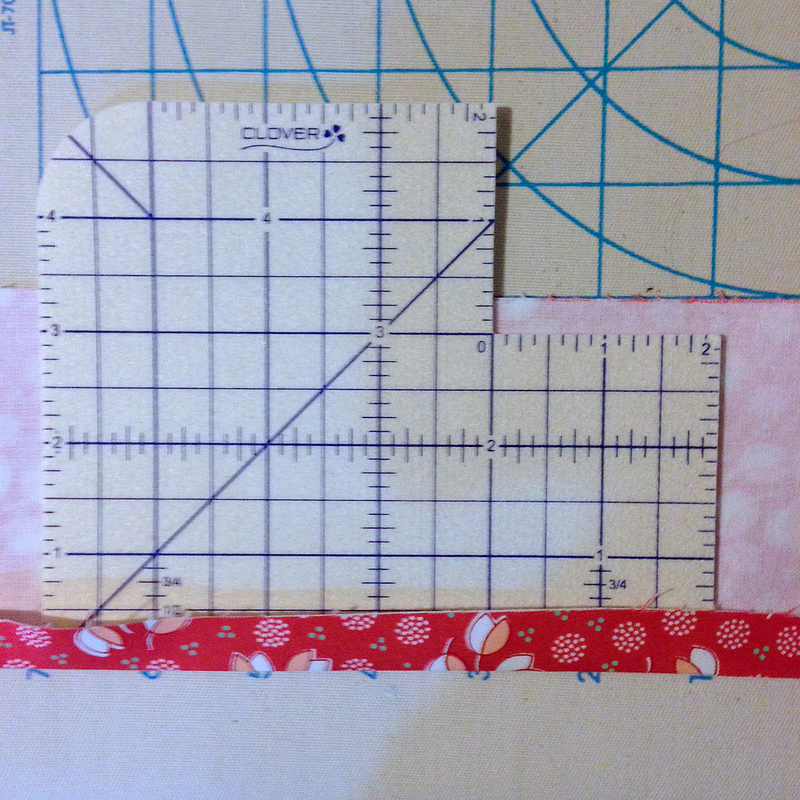 When I cut patterns out...I like to use my rotary cutter and ruler as much as possible as I feel I get a more accurate cut. 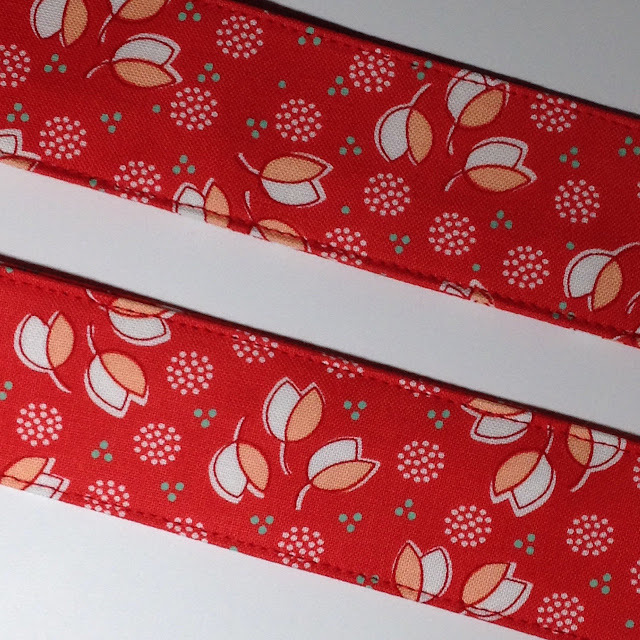 I'm using washi tape rolls as my fancy pattern weights. Remember quilt the fabric BEFORE cutting the pattern even though my picture doesn't show this. 3. I thought attaching the interfacing in step 3 with the Shape Flex and Peltex might be a bit confusing for beginners so I snapped a quick picture. Bottom layer: Pattern fabric (right side facing down) then Peltex cut 1/2" smaller (this is so you don't have to sew through it when putting the bag together) then Shape Flex on top (cut the same size as pattern fabric) The Shape Flex will fuse the Peltex to the pattern fabric. 4. 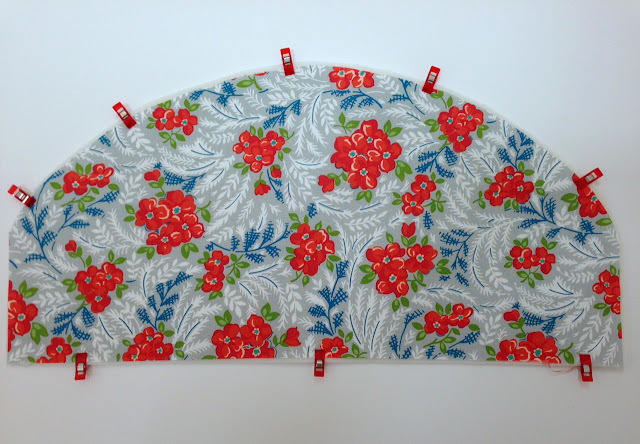 Since Soft and Stable is not fusible, the pattern recommends using a basting stitch to hold it into place. I was a bit worried about creating wrinkles so I decided to quilt my exterior panels in a 2 inch diagonal grid. Sewing through Soft and Stable was super easy. I did use my walking foot and lengthen my stitch length to 3.0 (usual is 2.5 on my machine). I also used Wonder Clips to hold my bag together when quilting. I LOVE Wonder Clips and consider them a "must have"... I use them every time I sew instead of pins for making bags, pillows and, piecing quilts. 5. 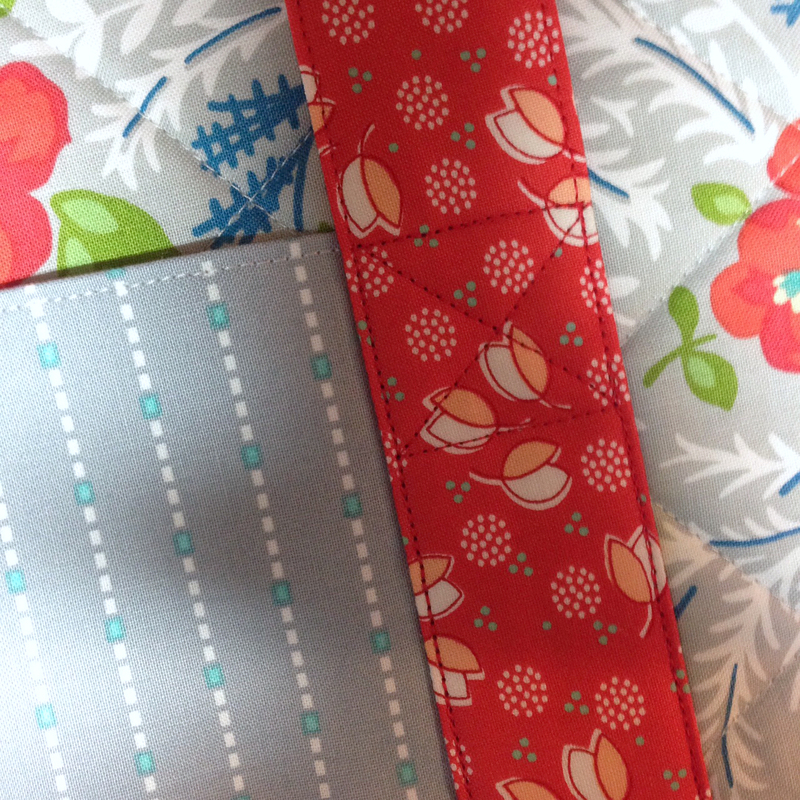 Now that the panels and handles have interfacing attached and/or quilted. It's time for making the handles. In pattern step 4. I found it easier to use my Hemmer instead of drawing lines on the fabric and ironing to them...just personal preference. 7. The next step is to attach your straps to your bag...go ahead and do this now unless you want to add an exterior pocket. The pocket needs to be attached BEFORE the straps. I will have an upcoming mini tutorial blog post about this step. Another picture of top stitching....you should be able to see my top stitching over my previous stitching line plus the box with an x inside at the top of the stitching for extra durability. 8. The next step is to attach your bottom panel unless you are adding piping as the piping needs to be attached prior to this step. I will have an upcoming mini tutorial blog post about this step too. 9. 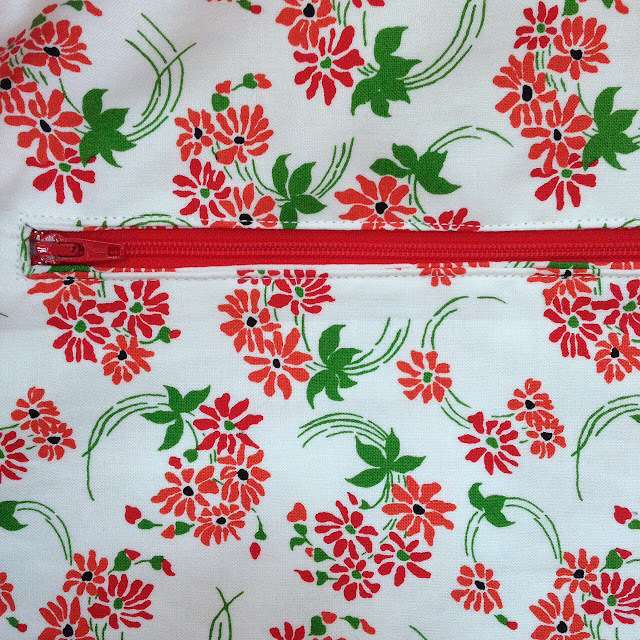 Sara's directions for the lining zippered pockets is very clear and easy to understand (plus lots of photos). I was quite happy with how easily this was done. I LOVED this Hazel fabric and thought about using it for the outside of my bag for about 1 minute before I realized white exterior fabric and 3 kids is probably not the best idea plus I like the interior of my bags to be a lighter fabric as I think it's easier to find things in my bag. 10. The only tricky part that I struggled with was attaching the exterior zipper to the lining panel and sewing the bag together over the tapered zipper. 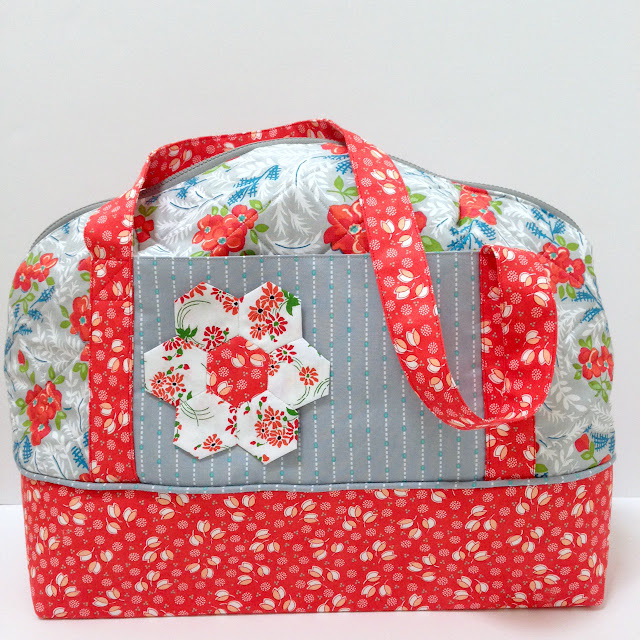 I plan on doing 2 things differently when I sew my next Aeroplane bag. I will make zipper tabs and use a regular purse zipper with a long pull instead of the Sport plastic zipper recommended. My machine did not like sewing over those large zipper teeth. In fact, I broke a few teeth off my zipper...but my strong 90/14 needle didn't break. Overall, I really enjoyed this pattern and will make another version. 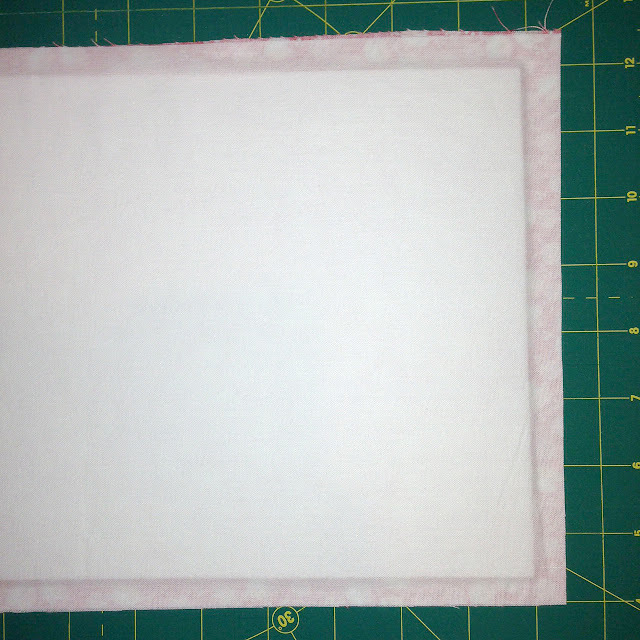 Next time, I plan to make it scrappy with low volume squares that are quilted plus the zipper changes I mentioned above. I would say an adventurous beginner could make this bag....just take it slowly when attaching the exterior zipper. Another picture of my bag....I decided last minute to add an English Paper Pieced flower to my pocket. 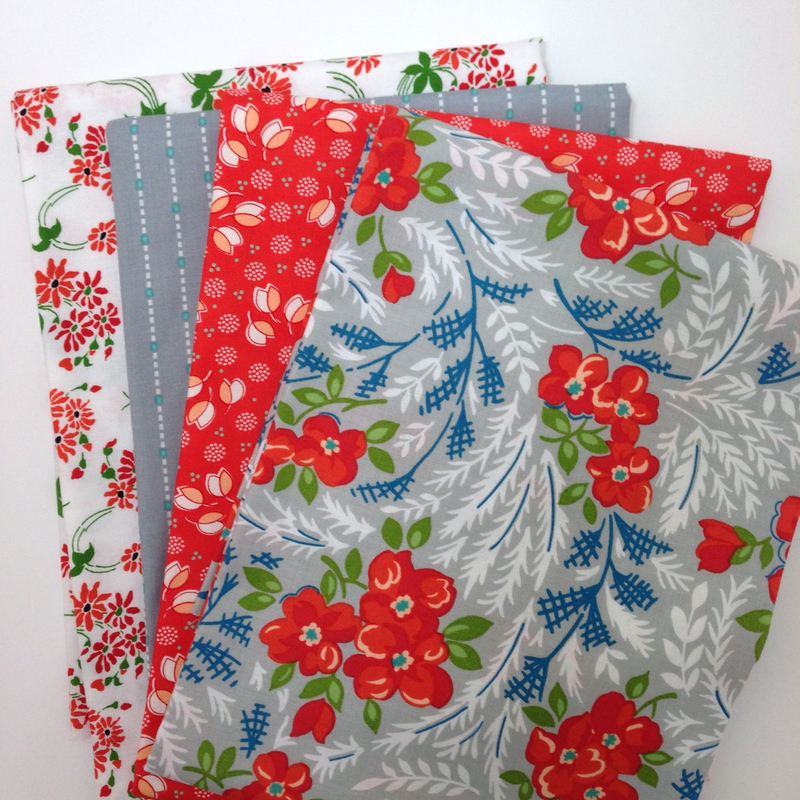 Be sure to use the hashtag #sewingwithfortworthfabric when posting your projects on Instagram! Thanks for reading my super long post. Don't worry my posts on the exterior pocket and piping will be shorter!